This fundraising idea is a great way of collecting the change given out at all the different stores in your town. 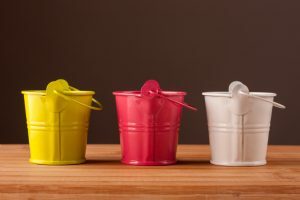 To get started, gather together old coffee cans and any other suitable types of containers you can get your hands on. Punch holes in the top of these cans for the change. Then print out a cover sheet with information about your group and what you are collecting money for — label the cans with the cover sheets you've made, and then distribute them around any local businesses that are willing to have them on the front counter. The cans can remain in place as long as each business owner thinks is appropriate. Alternatively you may want to set a specific duration for the fundraiser. Send group representatives around once a week or so to collect all of the change that has been donated. It's a good idea to regularly update the store managers on how the fundraising is going and the benefits that the money is having for your group's cause.